When you are planning your marketing and communications to your clients, keeping your thumb on all the pieces can get difficult. And I’m sure we all know the panic of realizing you still have to write your newsletter the night before it’s supposed to go out! 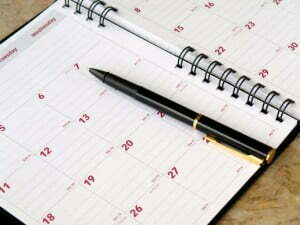 But there’s a simple and easy way to keep it all organized and completed on time: the editorial calendar. The editorial calendar is a single document that keeps track of all your communications: newsletters, emails, social media posts, blog posts, and more. It can be a spreadsheet or a desk calendar where you note down each and every item you need to distribute or publish, and it includes all the salient information about who is creating it, deadlines, content, etc. For example, let’s say that every week you want to publish one blog post, 14 Facebook posts, 35 Pinterest pins, and 42 tweets. You also need to send out a biweekly newsletter, a monthly email, and a biannual free gift that’s a 10-page document containing helpful information to your clients. Logging all these items individually and keeping track of the stages of completion can take a huge load off your mind when you just need to know that things are getting done. With an editorial calendar, you can quickly refer to it and see what’s coming due in the coming weeks and leave all the last minute stress and panicking behind. 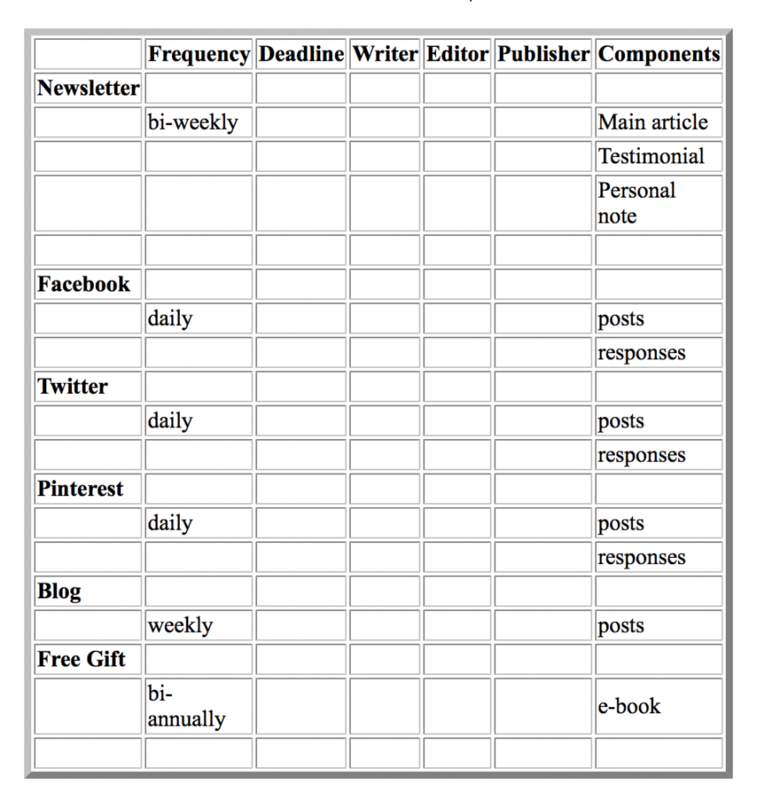 If you need help with all this, I can help set up your own personalized editorial calendar and even find you a top notch writer to create all your content. It’s so easy – just talk to me today!